Eternal Orthodox Church calendar for the 17.02 year 2017. He was an Egyptian, the son of eminent parents and a kinsman of the Patriarchs of Alexandria Theophilus and Cyril. Completing his secular studies, he renounced his riches and worldly standing and gave himself wholly to the spiritual life for the love of Christ. He was a great and ardent interpreter and defender of the Orthodox faith. The historian Nicephorus states that St Isidore wrote more than 10,000 letters to various people, in which he reprimanded one, advised another, consoled a third, instructed a fourth. "It is more important to be proficient in good works than in golden-tongued preaching", he writes in one letter. In another, he says: "If a man wishes his virtues to appear great, let him regard them as small and then they will be truly shown to be great." The first and fundamental rule for Isidore was: first do and then teach, after the example of the Lord Jesus. At a time when St John Chrysostom was undergoing persecution and the whole world was divided into two camps, one for and one against this great pillar of Orthodoxy, St Isidore stood on the side of Chrysostorn. He wrote to Patriarch Theophilus, saying what a great light Chrysostom was in the Church and begging that the hatred of him should cease. He lived long and laboured greatly, glorifying Christ the Lord in his life and his writings, and entered into the Kingdom of Christ in about 450. This saint was from the island of Crete. He went to Constantinople to visit his kinsman Theodore, abbot of the Studite monastery, and remained there to become a monk. As a monk, Nicolas followed all the ascetic practices that are prescribed for the soul"s salvation. During a persecution of the Church on the part of Leo the Armenian, Theodore and Nicolas were harshly tortured, humiliated, beaten with bull-whips and finally thrown into prison, where they spent three years. 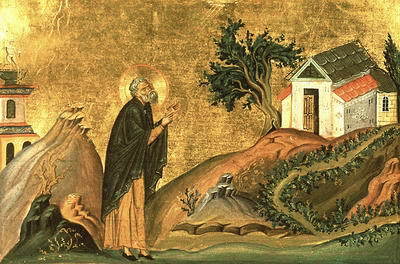 After the death of St Theodore, Nicolas became abbot of the Studium. Even during his lifetirne, God blessed him with the power to work miracles. He healed Eudocia the wife of the Emperor Basil, and Helen the wife of the patrician Manuel. To Theophilus Melisenus, a distinguished nobleman who had lost several children, he prophesied, in blessing his new-born daughter, that she would live and be fruitful, a prophecy that was later fulfilled to the joy of her parents. On the very day of his death, he called the monks together and asked them what they lacked. "Wheat", they replied. Then the dying man said: "He who sustained Israel in the wilderness will send you abundant wheat in three days." And indeed, a boat full of grain, sent by the Emperor Basil, arrived below the monastery on the third day. Nicolas entered into the heavenly Kingdom on February 4th, 868, at the age of 75. Born in Aleppo, he had pressure put upon him by the Turks to embrace Islam. Joseph not only refused, but began to denounce the falsehood of Islam and extol the Christian faith. For this he was tortured and beheaded in 1686. 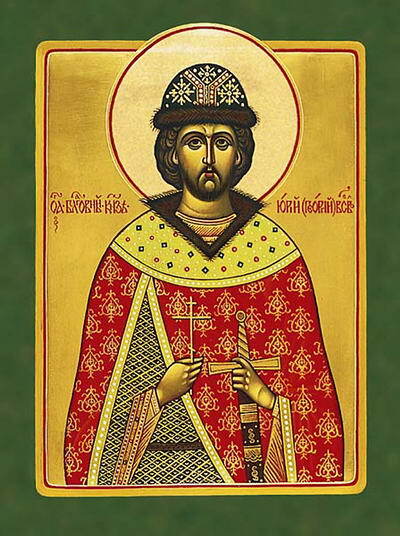 Holy Great Prince George was a son of Great Prince Vsevolod, nicknamed “Big Nest.” He was born in the year 1189, and he assumed the great princely throne of Vladimir in 1212. He was distinguished for his military valor and his piety. In the year 1237 the Tatar (Mongol) Horde of Batu descended upon the Russian land. St George was compelled to leave the capital city in charge of his sons, and went north to meet up with the other princes. On March 4, 1238 the Battle at the River Sita was fought, in which the Tatars destroyed the small but valiant company of the Great Prince. The saint himself fell in this fight, and Bishop Cyril buried his body at the Rostov cathedral. Two years later, it was transferred to Vladimir’s Dormition cathedral with great solemnity. The Church glorification of the saint occurred in 1645. 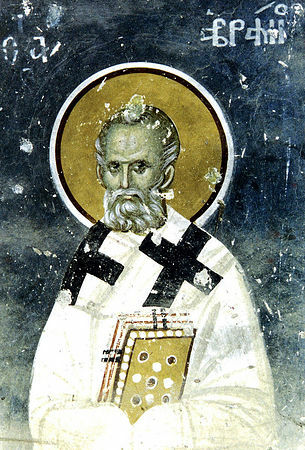 The Hieromartyr Abraham, Bishop of Arbilia, suffered during a persecution against Christians in Persia under the emperor Sapor II. When they demanded that the saint renounce Christ and worship the sun, he answered, “How foolish to forsake the Creator and instead worship creatures! Isn’t the sun just a creation of my God?” After this, they fiercely beat and tortured him. 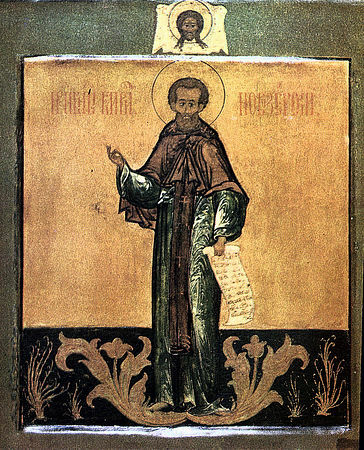 St Abraham prayed during torture, echoing the words of the Savior: “Lord, do not count this sin against us, for they know not what they do!” The hieromartyr was beheaded by the sword in the village of Felman. Saint Cyril of New Lake was born into a pious family. The Lord marked him as one of the chosen even before he was born. Cyril’s mother was praying in church during the Divine Liturgy, and the infant in her womb cried out, “Holy, Holy, Holy, Lord of Sabaoth!” From the time of his childhood the saint was fond of solitude and prayer, and he dreamt of monastic life. At fifteen years of age Cyril secretly left his parental home, intending to enter the Pskov Caves monastery. He did not know the way to the monastery, and took nothing from home for the journey. He went his way, putting all his trust in the Lord and His All-Pure Mother. Twenty versts from the city the youth met a magnificent monastic Elder, who led him to the monastery. As he left, he blessed him with the words, “May God bless you, my child, and grant you the angelic schema, and may you be a chosen vessel of the Divine Spirit.” Having said this, the Elder became invisible. The boy realized that this had been a messenger from God, and he gave thanks to the Lord. The igumen St Cornelius (February 20) saw with his clairvoyant eye the grace manifest in the young man. He provided him with much guidance and tonsured him into the monastic schema with the name Cyril. The fifteen-year-old monk astonished the brethren with his efforts. He emaciated the flesh through fasting and prayer, and zealously fulfilled obediences. Day and night he was ready to study the Word of God. Even then he thought to end his days in solitude in the wilderness. The boy’s parents mourned him as one dead, but once an Elder of the monastery of St Cornelius came to them and told them about their son and his life at the monastery. The joyful news confirmed in Cyril’s mother her love for God. She spoke with her husband about leaving to the monastery her portion of the inheritance, then left the world and became a nun with the name Elena (Helen). She died in peace a short time later. The saint’s father came to the monastery, and Igumen Cornelius told Cyril to meet with him. The saint was troubled, but not daring to disobey the igumen, he fell down at his father’s feet, imploring forgiveness for secretly leaving home. The father forgave his son, and he himself remained at the monastery. St Cornelius tonsured him into monasticism with the name Barsanuphius, and gave him to his son for instruction. Three years later, he peacefully fell asleep in the Lord. His son continued to toil more fervently for the Lord, disdaining his own will, and in was obedient not only to the igumen, but also to the brethren. He thirsted to go about all the Russian land, venerating its holy shrines and to find for himself a wilderness place for a life of silence. 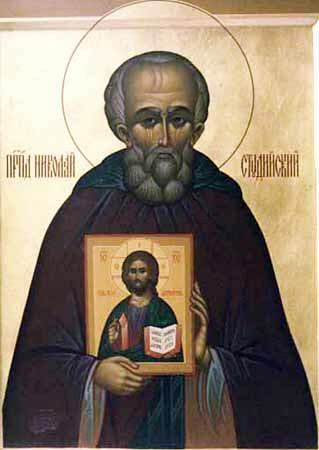 With the blessing of St Cornelius, St Cyril left the monastery in which he had grown strong spiritually, and he went to the coastal regions, roaming through the forests and the wild places, eating tree roots and berries. The saint spent about twenty years in this difficult exploit of wanderer, and he went to the outskirts of Moscow, Novgorod and Pskov, but he never entered any house nor did he accept alms. He wandered about during the day, and spent his nights at prayer on church porches, and he attended the church services. 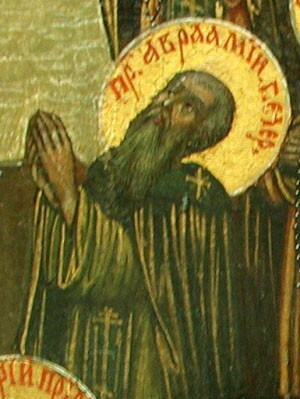 Once while at prayer, St Cyril saw a heavenly light indicating the direction where he should found a monastery. He set off on his way at once, and having reached the Tikhvin monastery, he spent three days and three nights there in ceaseless prayer to the Most Holy Theotokos. The Mother of God appeared to him in a dream. Showing Her approval of him, She said, “My servant Cyril, pleaser of the Most Holy Trinity, go to the Eastern region of White Lake, and the Lord My Son will show you the place of rest for your old age.” The saint proceeded to White Lake, weeping copious tears at the miraculous vision. On the lake he saw a small island, from which a pillar of fire rose up to the sky. There, beneath a centuries old spruce tree, St Cyril built a hut, and then set up two cells: one for himself, the other for future brethren. The hermit also constructed two small churches, one in honor of the Resurrection of Christ and the other in honor of the Mother of God Hodigitria. He underwent many temptations from invisible enemies, and from idlers roving about, but he overcame everything by brave endurance and constant prayer. News of his holy life spread everywhere, and brethren gathered around him. There were many instances of healing through his prayers, and the Lord also granted His saint the gift of foresight. Sensing his impending end, St Cyril summoned the brethren. With tears of humility the saint instructed his spiritual children one last time, until his voice gave out. For a long time then he was silent, but suddenly he cried out with loud sobbing, “I go to the Lord into life eternal, but I entrust you to God the Word and His Grace, bestowing an inheritance and sanctification upon all. May it help you. But I beseech you, do not become lax in fasting and prayers, guard yourself from the snares of the Enemy, and the Lord in His ineffable mercy will not condemn your humility.” Having said this, the saint gave a final kiss to the brethren, received the Holy Mysteries, signed himself with the Sign of the Cross, and with the words “Glory to God for everything!” he gave up his pure soul to the Lord on February 4, 1532. Saints Abraham and Coprius of Pechenga in 1492 founded the Savior wilderness monastery at the River Pechenga, in Gryazovetsk district, 21 versts from Vologda. It required great work to bring in the necessities to the wilderness spot, in order to build the monastery and set everything in proper order. The blessed toilers did not spare themselves, zealously living in asceticism until their death.